The new Oakley Radar EV Path sunglasses is what pops out when you program your time machine to "The Best Glasses of 2025." Although the Radar EV is available in the present 2015, they undeniably incorporate a plethora of futuristic features. 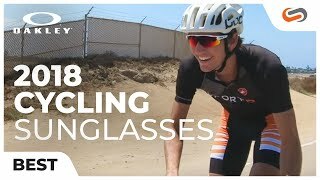 The new Oakley Radar EV Path boasts a sturdy, impact-resistant O Matter frame and anti-slip Unobtainium earsocks and nosebombs that intensify grip the more you sweat. 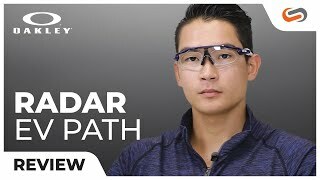 The new Oakley Radar EV sunglasses provide an extended view with improved upper peripheral vision and taller lens design, and an improved ventilation system for an anti-fog view. 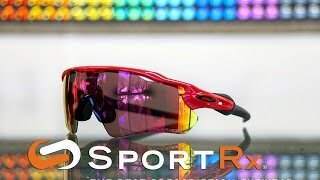 Need Oakley Radar EV Path prescription sunglasses? Done. 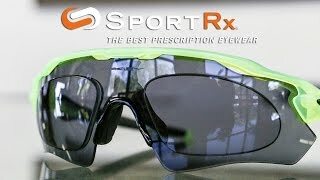 Call or chat with our friendly Sports Opticians if you have any questions about prescription Oakley Radar EV Path sunglasses. Free Shipping & Returns all day err’day. 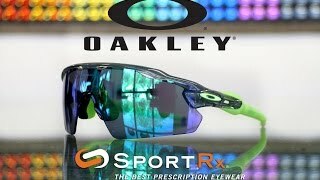 The Oakley Radar EV Path is one of many Oakley prescription sunglasses that we have available.